Björn : There’s probably no God. “Freedom from indoctrination ought to be a basic human right for all children,” argues Björn Ulvaeus in a passionate plea for Sweden to rethink its policy on faith-based schools. 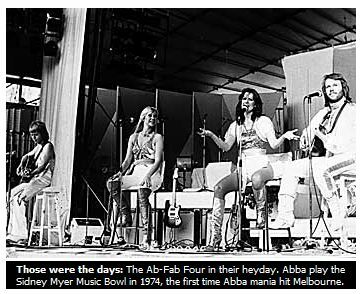 ABBA MANIA TO HIT MELBOURNE -AGAIN! ABBA is back – kind of: 35 years after the band first rocked the world with Eurovision smash Waterloo, Abba mania is set to sweep Melbourne. Songwriters Benny Andersson and Bjorn Ulvaeus, the sexagenarian duo behind Abba’s hits, have surprised fans with their first joint composition in 15 years. Industry experts have hailed the return of the Swedish group’s trademark sound, with some predicting the pair’s album to move quickly up the charts. It is the first international single for the band, which Andersson has fronted for 20 years. 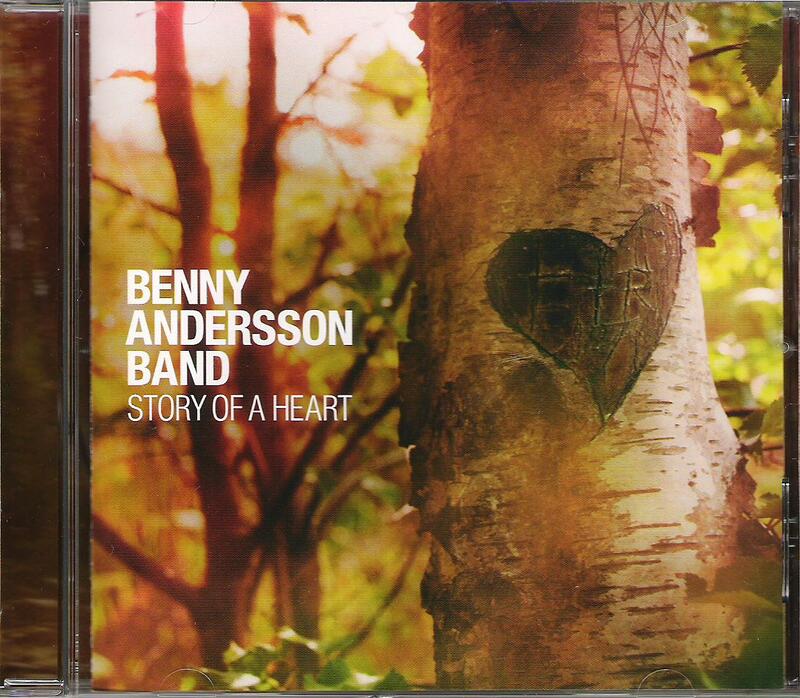 Known as Benny Andersson’s Orkester in their native Sweden, the single is one of 13 tracks on the album, also called Story of a Heart. 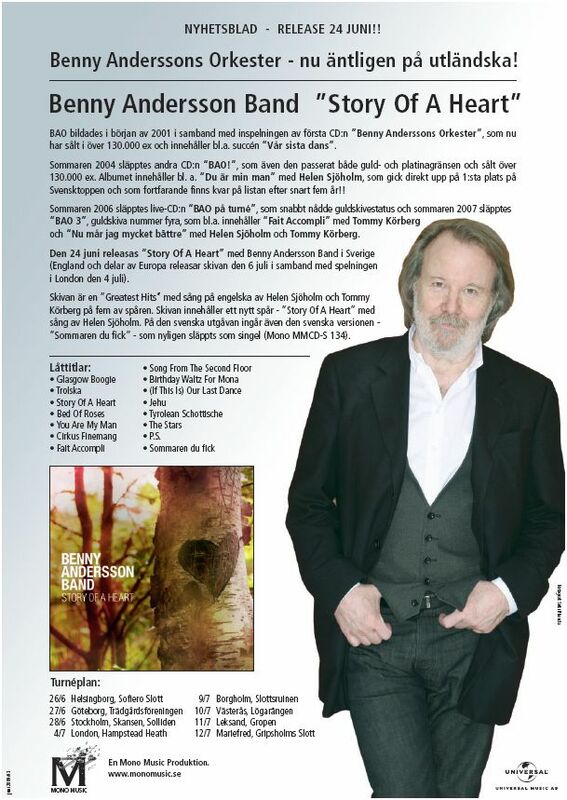 Ulvaeus has written lyrics for the album, which features several older Orkester songs translated into English, as well as material only previously released in Sweden. “I wanted to make music based on the Swedish folk tradition, but with new songs written by me,” Andersson told Abba’s official website. Melbourne music stalwart Molly Meldrum predicted the single would be a smash. “It’s very good. It’s very Abba but why not?” he said. 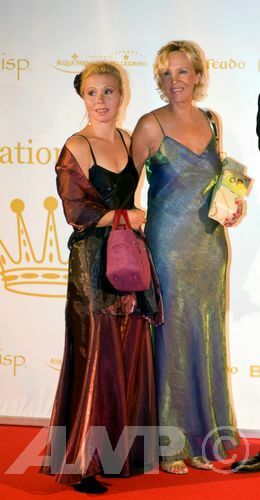 get immediate international attention no mater what,” he said. IT’S very good. It’s very Abba but why not? Abba’s music has always been there – Kylie’s covered them, Madonna sampled them. Mamma Mia the musical and the film were massive all over the world. Young kids are singing Abba. 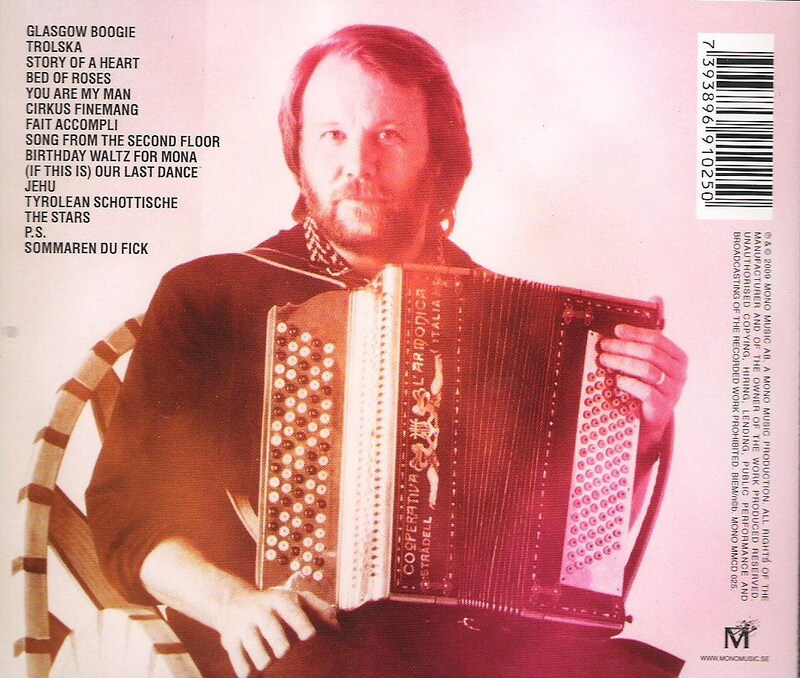 Just the title, Story of a Heart, it’s like Benny and Bjorn are becoming the new Andrew Lloyd Webber. When you listen to the lyrics it’s like another musical with the story being told. Comments : Comments Off on ABBA MANIA TO HIT MELBOURNE -AGAIN! A wonderful 3 page feature in today’s SUNDAY TIMES has an interview with Benny by Dan Cairns. The new Kristina site has a great video with Benny,Bjorn & Helen singing the English version of Hemma/Home. You can also listen to/download the full version of STORY OF A HEART.